A few weeks ago, I was so fortunate to speak at The BabyTime Show (now called The Baby and Toddler Show) here in Toronto. It was so much fun. 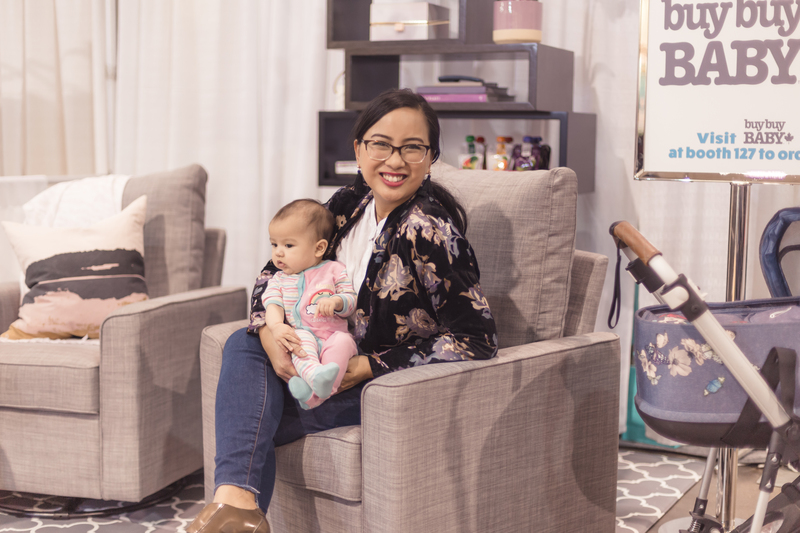 I had an amazing weekend where I partnered with a few brands for my booth / live stage presentation, and I connected with several moms in one-on-one time management strategy consultations. So incase you missed it, I wanted to share with you some of the tips that I shared in my talk: Time Management Strategies for Busy Moms. My first time management strategy is to cast vision of where you want to go in life. If we don't know where we're going, it doesn't matter to me how many time management strategies you use. You might be using them in the wrong places. The question you want to ask yourself is if you could live life like the most ideal version of yourself, what would that look like? And there are a couple ways that you can do this. One way I love is the rocking chair test that Tony Robbins offers at a lot of his seminars. Picture yourself at the age of 80, sitting in a rocking chair, reviewing your past 80 years. What are you proud of? What did you do that you feel so incredibly grateful that you did? What regrets do you have if you had any? What do you wish you could have told your younger self? Another exercise I really like is one that I found in the book Living Forward by Daniel Harkavy and Michael Hyatt. It's the exercise of writing your own obituary, looking at the end of your life, and reflecting upon how you are going to be remembered. These exercises can help us to have a more clear, and intentional way of living. I really believe in my heart of hearts that a mom will be most happy if she can have a stance of where she is going. 2. WHAT CAN YOU DELEGATE? We cannot do it all. And we definitely cannot do it all at the same time, and do it well. So I believe that a really important skill for a mom to learn is how to delegate. There are so many things in a mom's life that can be delegated. Can you break up who does school drop off and pick up? Could you delegate cleaning of your house to a cleaning service? Can you delegate who plans and prepares meals? One of the ways I do this for my little guys is with Love Child Organics prepared pouches. These pouches are so convenient. Especially with the holidays approaching, it's so easy for me to be entertaining guests and conveniently give my children organic and nutritious snacks and meals without me preparing it myself. 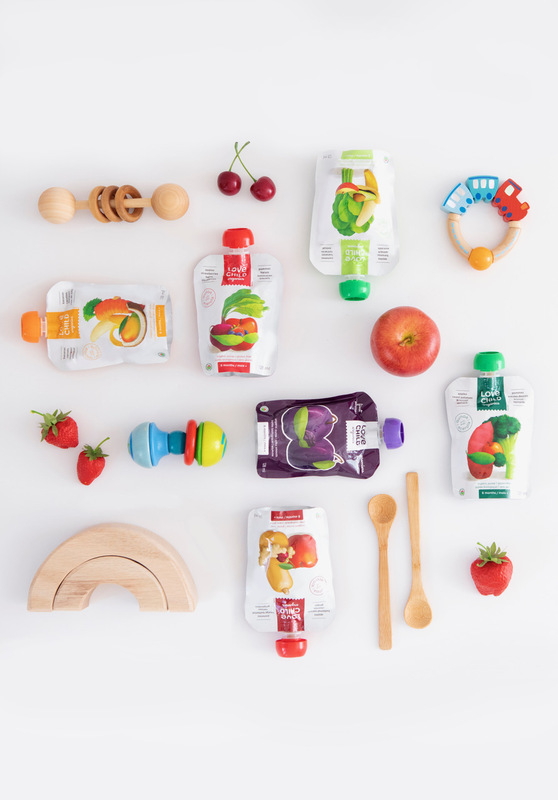 The Simple Firsts (available in apple, pear and prune for babies just starting solids) and Super Blends (available in 15 flavours, my kids are currently obsessed with the Banana, Carrot, Mangoe + Coconut blend) are all in convenient, resealable pouches that are perfect for small appetites. They can be safely closed back up again, popped in the fridge, and used later for the next meal or snack. While I would love to say I had time to make my own organic baby food, these prepared pouches help me feed my kids in a really convenient way. 3. WHAT CAN YOU AUTOMATE? This is a little bit different than delegation, but also along the same lines. For example, if you do something the same, or similar every week, how can you automate that so that you're not working so hard every time? The way I do it for grocery shopping is through a click and collect service where via an online platform you're able to literally use the exact same shopping list and with one button simply schedule when you pick up your groceries. It takes so much effort out of that exercise. Additionally, there are a ton of ways I use automation in my business. I use an email automation platform that allows me to collect emails, bill clients, even schedule appointments, all without me having to give any attention to it. And have I ever told you about my obsession with Uber Eats?! Sometimes, a mom needs an extra pair (or a hundred pair) of hands to get life done. When I want a night off from cooking, Uber Eats delivers food from all my favourite neighbourhood restaurants- and there's no searching for where my kids placed my wallet, or where I stashed my purse when the delivery person arrives at the door- payment is completely automated via PayPal, including the tip! With online shopping, and the holidays approaching, I have to be honest, sometimes I am doing it with a baby on my hip, a computer on my lap, my phone in my hand, and my wallet no where within arm's reach. So one of the ways I automate my online purchases is using Paypal. With Paypal, you have your credit card number saved within its online platform and it makes your online purchases literally reduced to a simple swipe and click. It's a way that you can automate your online purchases, all from the palm of your hand, often without having the leave the house! Paying with PayPal saves on time and lets me get back to enjoying my family. Many of my favourite apps (Starbucks!) offer PayPal as a payment option which I love because it makes it easy to pay, it’s secure and I can do it right from my mobile phone. 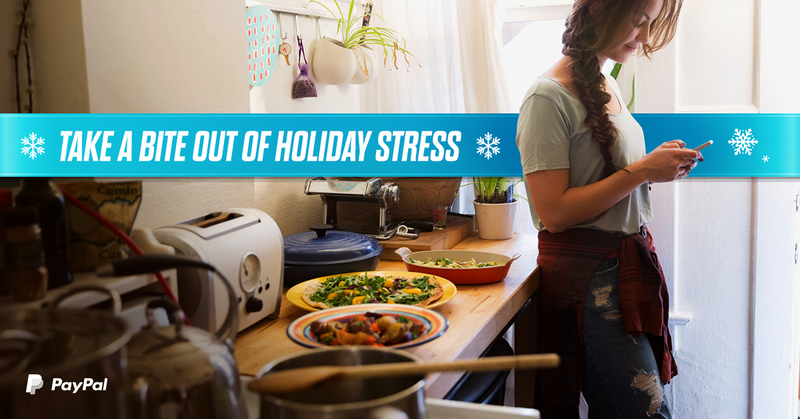 For the full run down on how PayPal can help automate your holiday errands easily and conveniently, click here. 4. WHAT CAN YOU BATCH? My next tip for time management is what in your life can you batch? So batching is a description for essentially taking similar activities and doing them all at the same time. So for example, I used to record one YouTube video a week and I would set up the camera on Thursday, get it all worked out, figure out my lighting, figure out my technology, often fail at some aspect of the technology, record my video, and then do it all again the next week. And it was always taking so much time because I would have to set everything up every single time. Now, I batch shoot several videos in one day. Another example of batch creating is cooking all your meals on Sunday evening for example. You can create so many meals, and stick them in your freezer, and when you think about it, you've already got all the utensils out, you are already chopping, you're already dirtying your pots and bowls, and the process is so much more streamlined. 5. WHAT CAN YOU DELETE? Another really important time management saving tip is what in your life can you delete? This is a hard one for me. I really hate disappointing people. I really hate saying no, especially to things that I care about. But what I think is really important to remember, and this is very much in Greg Mckeown's book Essentialism, is saying no to something is actually saying yes to something else. Saying no to something is actually saying yes to something else. It can be really hard to draw hard boundaries, but I believe if a mom wants to live her most fulfilled life, she can't do it all. She definitely can't do it all at the same time. So we have to have the courage and the strategy to say no to certain things so we can say yes to other things like our families, our own personal goals and dreams. The show was so much fun, and if you go onto my instagram, check out the highlight from the show. I've got lots more things on there including products that I bought at the show, sneak peaks of the other vendors, as well as a full tour of my booth. My booth was outfitted by Buy Buy Baby and I had this really cool electric fireplace with Dimplex's Opti-myst technology. And I am grateful to The Electric Fireplace Shop who came and set the unit up for me. And you can see all of that by watching the highlight in my instagram. So tell me, which of these tips resonates most with you, and which of these tips do you think that you could implement today? Let me know in the comments below! Special thanks to Love Child Organics and PayPal for partnering with me on this blog post. I work hard to ensure the brands I represent help to make a mom's life easier, and enjoyable, and I make it a policy to work with brands that I personally use and enjoy myself.